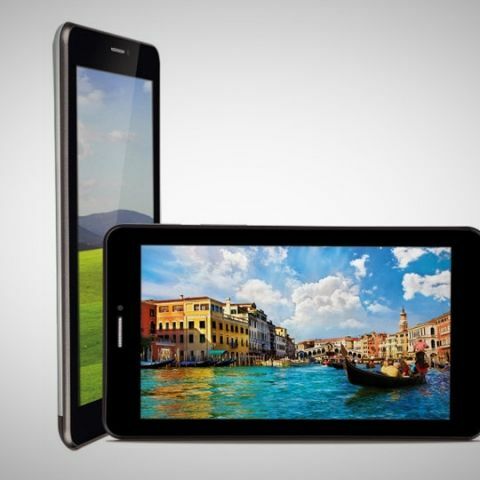 iBall Slide 3G17 tablet launched, supports dual-SIM, 3G and has voice calling capabilities. 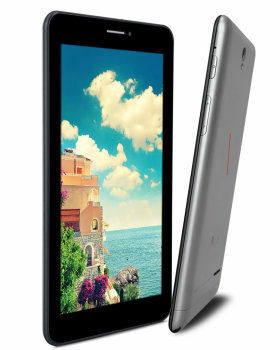 iBall has launched the Slide 3G17 tablet with 7-inch display screen and 3G voice calling feature. The tablet is available via e-commerce site Snapdeal.com for Rs. 7,649. The iBall Slide 3G17 tablet runs Android 4.2 Jelly Bean out-of-the-box. The tablet supports dual sim (GSM GSM) with 3G voice calling with dual standby. It has a 7-inch 5-point multi-touch display with 480 x 800 pixels resolution. The tablet has a 1.3GHz dual-core Cortex A7 processor coupled with 512MB of RAM. The Slide 3G17 tablet has a 2 MP rear camera with LED flash and a 0.3 MP front-facing camera for video calling. It has 4GB of inbuilt storage expandable up to 32GB via microSD card support. Connectivity wise, the iBall Slide 3G17 tablet supports Wi-Fi, Bluetooth, Micro-USB, GPS/A-GPS and 3G. It packs a 2500mAh battery. The tablet gives the user access to thousands of apps and games from the Android market as well as access to a host of Google services including Gmail, YouTube etc. Earlier this year, iBall launched the Slide 3G 7271 HD7 for Rs. 8,999. The dual-SIM tablet comes with similar specs as the Slide 3G17. It has a 7 inch display and 1024 x 600 pixels resolution. The tablet runs on Android 4.2 Jelly Bean out-of-the-box and has a 1.3GHz dual-core Cortex A7 processor. It has a 2 MP rear camera with LED flash and a 0.3 MP front-facing camera for video calling. Connectivity options on the tablet include Wi-Fi, Bluetooth, Micro-USB, GPS/AGPS and 3G. It packs a 3,000mAh battery. In this touch quality is not up to the mark. Is UHS micro sd card work for my iball slide octa A 41 tablet?